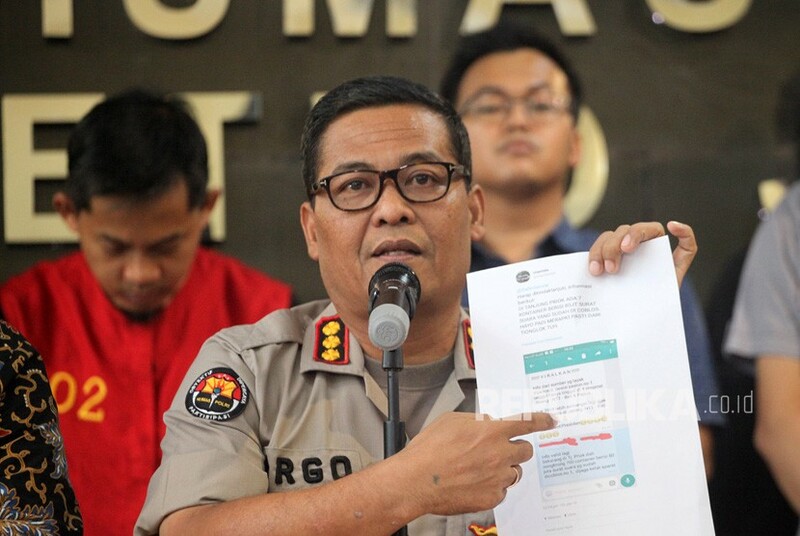 Spokesperson of Jakarta Metro Police Argo Yuwono (center) shows evidence and suspect of buzzer with initials MIK (left) at a press conference on on marked ballots case at Jakarta Metro Police headquarters, Friday (Jan 11). Hoax on marked ballots went viral on social media platforms since last week. 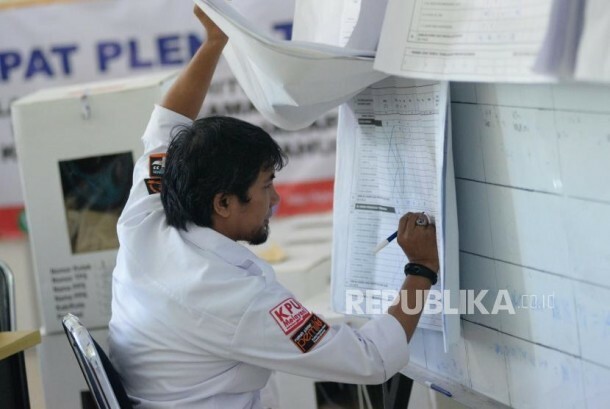 Previously, Cyber Patrol of Jakarta Metro Police detected the fake news on marked ballots spreaded by a Twitter account @chiecillihie80. The finding was recoded at January 4. The police then run preliminary investigation by examining witnesses and decided to conduct further investigation. According to spokesperson of Jakarta Metro Police, Argo Yuwono, the suspect was first detected in Majalengka, West Java. 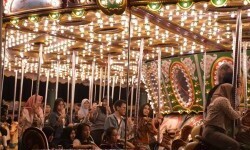 However, police investigators found out the suspect has moved to Cilegon. Then, on Sunday (Jan 6) at around 22.30 West Indonesia Standard Time, the team finally arrested MIK and took him to Jakarta Metro Police headquarters. “His role was to tweet self-made sentences to his Twitter account," Argo said. MIK tagged @dahnilanzar, Twitter account of spokesperson of presidential candidate pair number 02, Dahnil Anzar Simanjuntak in his tweet. 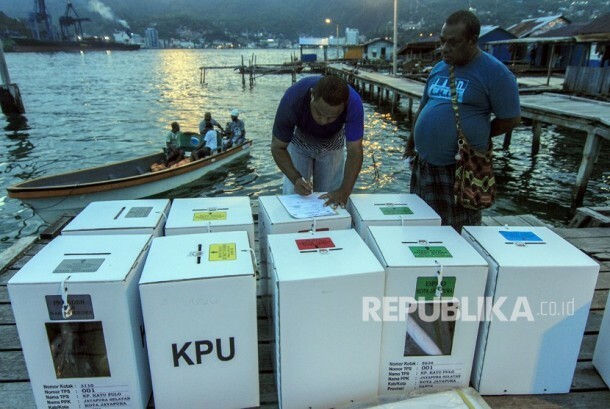 He said, "Please follow up these information, in Tanjung Priok there are seven containers of 10 million marked ballots. Let's check it. 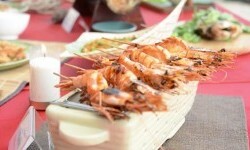 It must be from China". MIK also called on people to made the tweet viral while saying that it was came from a trusted source. 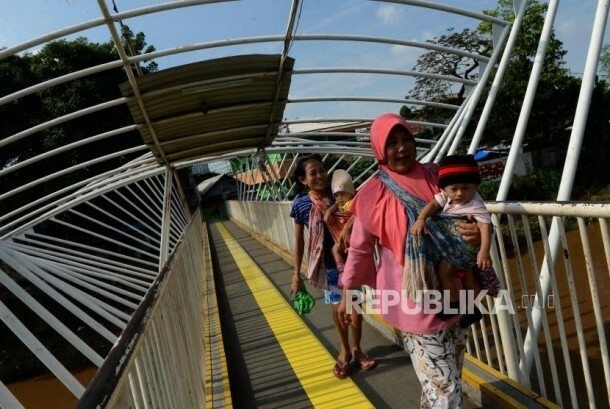 Earlier, three people had been arrested in a number of areas, namely HY in Bogor, LS in Balikpapan and J in Brebes. However, all three were only active disseminators. None of them are detained as all three are subject to article 15 of Act number 1 of 1946 with threats under five years in prison. Fake news on seven containers from China with 10 million marked ballots that had been cast in Tanjung Priok, North Jakarta, in favor of incumbent President Joko Widodo-KH Ma'ruf Amin pair went viral on various social medias platform on Wednesday (Jan 2). Head of Cyber ​​Crime of National Police, Police Commissioner Dani Kustoni said the suspect allegedly intentionally created and spreaded the fake news. BBP also tried to erase digital traces by changing mobile phone number and cellphone. 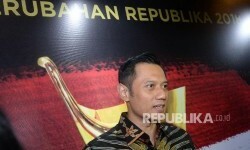 "Of course, the deliberate factors had been fulfilled," Dani said at Police Headquarters, in Jakarta, on Wednesday (Jan 9). 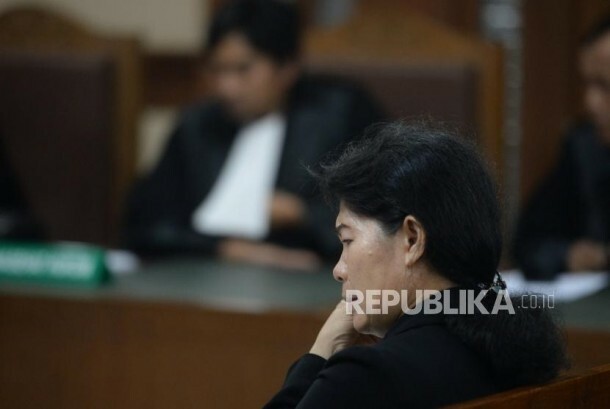 MAA yang ditangkap karena diduga meretas situs resmi KPU. Mundurnya Menhan Sri Lanka sebagai tanggung jawab karena gagal mencegah pengeboman. 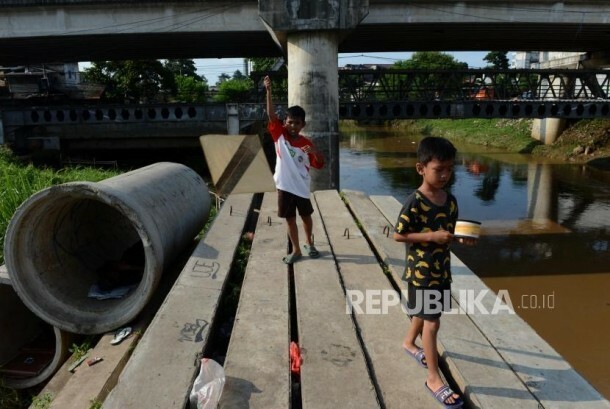 Tangerang berada dalam Siaga 1 sejak Sungai Cisadane meluap.